Just this past year, I finally decided to dig into the Phantasm franchise for the very first time after getting my hands on the first film on DVD from a "going out of business" sale Blockbuster was having as they closed their very last store down here in South Texas. I quickly learned that this horror franchise was easily the most bizarre horror franchise I'd ever come across. Quite frankly, the films don't make a whole lot of sense, yet they're also highly entertaining in a very WTF? and absurd way. So I became a big fan instantly, with Part 3: Lord of the Dead (1993) being my personal favorite. Sadly, with Part IV: Oblivion, it was painfully apparent the series had run it's course, resulting in a muddled mess that made absolutely zero sense and offered nothing to the franchise whatsoever. Of all the Phantasm films, Oblivion was the most ambiguous. Die-hard fans waited nearly 20 years for a follow up, being teased years earlier with news of a completed film that never got released until just last year. The unfortunate passing of series star Angus Scrimm was the ultimate nail in the coffin, ending a franchise that began nearly 40 years ago. Because of his recent passing, I didn't want to jump into this one right away; I needed time to process the fact that he was gone forever, and not have that thought weighing heavily on me while I watched it. This past weekend, I felt it was time to finally dig in, so here we go. What can I say, other than that this was hands-down the worst film in the franchise, and a sad and terrible way to end one of the most unique horror franchise's in film history. Cobbled together with footage that was shot for an un-aired web series years ago, and incorporating new footage of some of the original cast members, much like Oblivion, Ravager makes zero sense. Worse of all, it looks and feels like a fan film, or something that someone shot on their iPhone. Yes, it's that bad. I half expected it to be shot digitally (which it was) since that's the way most films are made these days because it's much cheaper and easier, but co-writer/director David Hartman clearly has no sense of style when it comes to directing. Not that Coscarelli did either, but at least he had more of a professionals touch when it came to compositing and framing a scene. He knew how to keep the camera still, and more often than not, where to put it. This film looks like someone picked up their phone, opened up their camera app and just started filming as fast as they could. And when Hartman did take the time to put the camera on a stand to keep it still, they still come off as dull, sloppy and uninspired. I think David Hartman needs to stick to his forte, and that's directing animation for kids television shows. The clear lack of any kind of linear storyline or conventional plot (not that any film in the series had one) is made all the more frustrating by the fact that the film, one that took nearly 20 years to produce and made in an era where effects work has become cheaper to produce, with varying degrees of quality, looks so incredibly cheap. If they didn't have the budget to match the vision, why try and make it so big in the first place? They take this film in so many different directions, through alternate realities (seemingly) and post apocalyptic scenarios, but apparently didn't have the money to pull it off. And that's all you see when you watch this film, the many, many, many unforgivable shortcomings that fly at you at lightning speed. 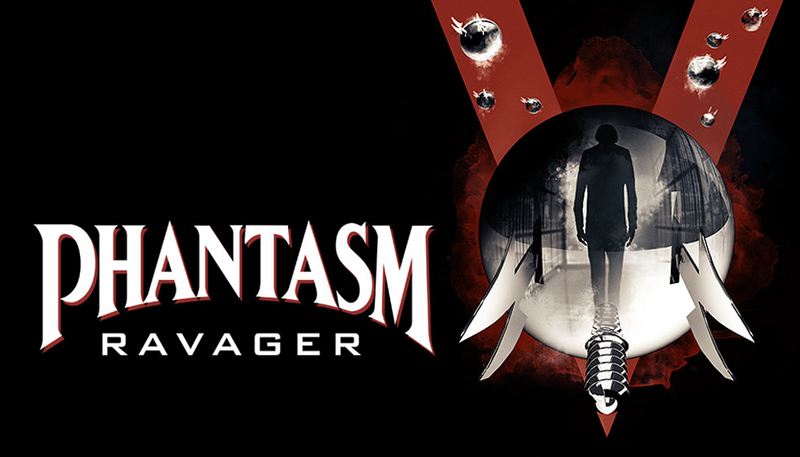 What's worse, or insulting, depending on how you look at it, Ravager plays out like a drama rather than a horror film. Why? I only had 2 thoughts when this travesty of a film was over. 1), Why did they even bother making this? They should have just left it alone. Oblivion was a bad way to end the series, but Ravager was worse - just flat out terrible and an insult to not only the franchise, but to the fans who have kept the series alive and who waited nearly 2 decades for a proper sendoff. 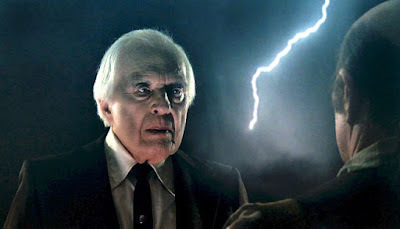 And 2), what a sad way for cult icon and legend Angus Scrimm to go out. Rather than on a high note, he sadly ends his career with the worst film in the entire 4 decades-long franchise. 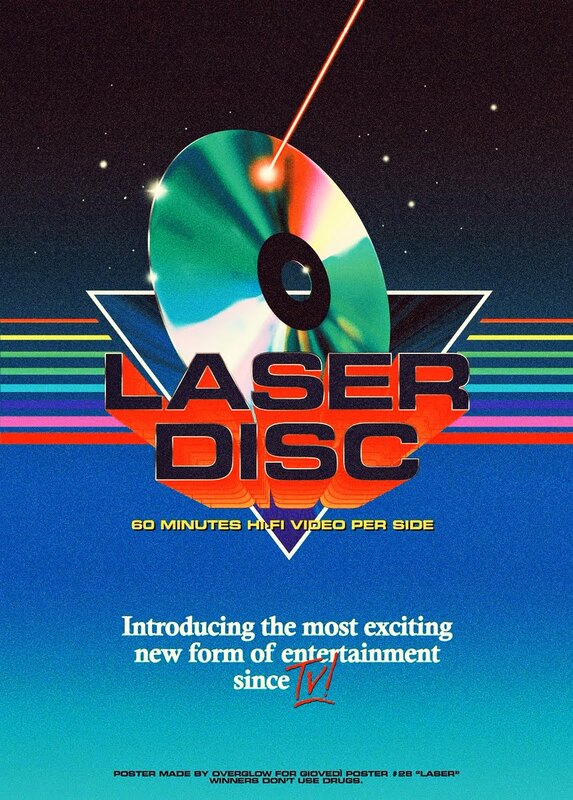 I wouldn't consider myself a die-hard Phantasm fan. I'm a fan, and enjoy the films, each to varying degrees, but it's really the character of The Tall Man that I love. He was able to create a character through sheer presence, using limited dialogue to deliver quotable and memorable lines that will forever brand him a horror legend. It's just too bad this was the film he went out with. There was only 1 single thing I did like out of this experience. The film begins with Reggie giving a 1 minute monologue, essentially telling you what has happened in the first 4 films up until now. Oddly, this was the one thing that actually made sense and what's more, he was able to give the first 4 films some clarity. It finally made sense!